The Nazi responsible for the murder of millions of innocent people may well have lived out his days in Argentina as “Ricardo Klement”—until fate, a Holocaust survivor, and Israel’s foreign intelligence service intervened. Explore recently declassified artifacts and immersive multimedia presentations that reveal the secret history behind the capture, extradition, and trial of one of the world’s most notorious war criminals. Operation Finale documents one of the great spy thrillers of the 20th century, examines the enormity of the crimes committed during the Nazi regime, and calls on us to consider the meaning of justice and accountability. Operation Finale: The Capture & Trial of Adolf Eichmann is presented as part of the 20th Anniversary Commemoration of the Museum of Jewish Heritage – A Living Memorial to the Holocaust with major support provided by The David Berg Foundation; Bruce C. Ratner; and Bernard and Anne Spitzer Charitable Trust. The exhibition is made possible by George Klein; Paler Foundation; and the Leonard N. Stern Charitable Fund. Additional support is provided by Eugene and Emily Grant Family Foundation; The Blanche and Irving Laurie Foundation; R. David Sudarsky Charitable Trust; the Salo W. and Jeannette M. Baron Foundation; and The Nancy Fisher Family Fund. 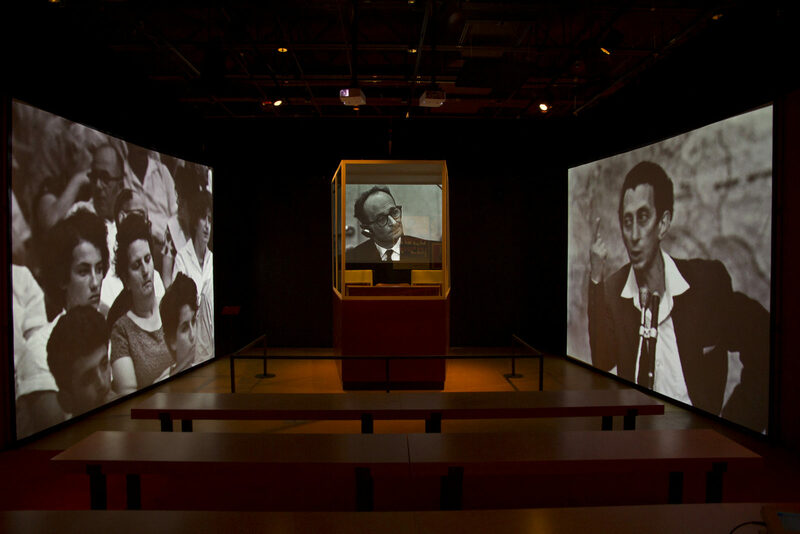 Operation Finale is a co–production of The Mossad–Israel Secret Intelligence Service; Beit Hatfutsot–The Museum of the Jewish People, Tel Aviv, Israel; and the Maltz Museum of Jewish Heritage, Cleveland, Ohio.